The headline on the ad promoting your seminar is, “There’s a Spiritual Solution to Ever Problem,” which is also the title of your new book. I’m reminded of H. L. Mencken’s quote, “For every difficult and complex problem, there is a solution that is easy, simple and wrong.” How does one begin the process of finding the right solution, the spiritual solution to a problem? To he understood as to understand; To he loved (is to love. Each one of those first seven lines is the title of a chapter in the book. What he’s saying is that darkness is a lower energy than light, and when you bring light to the presence of darkness you don’t have to warn it, you don’t have to tell it that it has to get away. It can’t survive. Light dissolves darkness. And so does love dissolve hate and so does joy dissolve sadness and so does faith dissolve doubt and so on. And once we begin to put our problems into that context, we see that the slowest and lowest energies are the energies of the world of the solid, where everything that we call problems exist. And if we can bring spiritual energy, which is love, kindness, forgiveness and so on, to the problem, we can dissolve it. It's really just a matter of changing our mind about how we are going to process the events in our lives. A Course in Miracles states, “You don’t have any problems, though you think you do.” The Course teaches us that these things we call problems are just our ways of processing things in our lives. The opening line of Genesis in the Old Testament says, “In the beginning, God created heaven and earth,” and then 31 lines later it says, “And all that God created was good.” So if God created everything and everything God created was good, disease and disharmony and disorder and all the things we cu1 problems are really something that can’t exist except in our mind when we separate ourselves from God. So is it a matter of reframing problems and seeing them as opportunities for growth? Dyer: Right, but I wouldn’t even call them problems. I think of it in terms of what kind of energy am 1 bringing to it? Am I putting my attention on what I don’t want, on what always has been, on suffering, on disease? Because what we think about expands. (Abraham) Maslow taught me, years and years ago, that when you’re working with a patient, never let them spend more than a few moments on the problem, because what you think about is what expands, and if they’re talking about the problem all the time, when they leave your session, the problem will expand. Get ‘em to put their attention on what they intend to create, or on solutions. I call it rewriting your agreement with reality. You’re making a new commitment to what your world is going to he and how connected you’re going to he to your Source, to God and to a higher energy or whatever you want to call it. And knowing that, you can call upon that at any given moment in your life. There’s a difference between knowing God and knowing about God. Knowing about God is all of the stuff we’ve been told and all of the books we’ve read and all of our religious experiences and what others have told us and tried to convince us of. But knowing God is when we make conscious contact. And that’s why making conscious contact is such an important part of the healing process. In the world of healing, when a knowing confronts a belief in a disease process, the knowing will always triumph. It takes an abandonment of tribal consciousness to get to a place where you can say, “I know I can heal myself.” It’s a banishment of all doubt. What’s the first step somebody can take to get to that place? Dyer: The first step is to turn your life and your problem over to making conscious contact with God. Turning it over to God, saying, “I am connected to God and I am going to turn this thing over, because I don’t know how to deal with it myself.” And then to get quiet and peaceful and meditate. This is one word that comes to mind today along with heartbreak. Today I woke up to the news that my niece, only 1 week old, had taken her final breath and departed from this world. Doctors had worked tirelessly to try and save her, but medical complications and more importantly the will of Allāh, the Exalted, would prevail - exactly how it is meant to. Trying to let the reality sink in - I just felt numb. It then dawned on me that at sometime today I would have to face members of my family and would have to try and offer words of consolation and condolence. This filled me with a sense of dread, it’s easy to write things - then edit, google and alter - but words that are uttered matter. I felt my words would be empty, lacking in worth, I wrangled with my inability to intellectualize the phrases that mattered - when I needed them most, it seemed I would be betrayed by my own heart and mind. I mean what does one say to a mother that has lovingly carried her child for months, only to be left with an empty cradle? For some reason I remembered a poem by Heaney called ‘Mid-Term Break’ where an older brother shares his own grief at the lost of his baby brother. My heart sank, and the grief intensified. Grief stems from an Old French word griever meaning ‘to burden’ - and when something burdens something or someone they begin to contract, emotionally, and at times physically too. So I did what I always do when in dire need for help, I closed my eyes started with a Fātiḥah and then a ṣalawāt - I then recalled that it wasn’t about me at all, it never was. I was reminded that our tradition is not one of contraction but expansion - “Have We not expanded for you your breast?” [94:1], I was reminded that our Majestic Lord does not burden a soul with more than it can bear, I was reminded that our beloved Prophet (ﷺ) would console others even when his own heart was broken. Subḥan’Allāh. 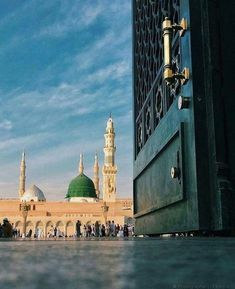 At our darkest, deepest and bleakest of moments the words, teachings, and way of our Prophet (ﷺ) shine through, always. They are truly a gift from Allāh, Exalted be He, of His never decreasing Bounty, a reminder of our ignorance and an affirmation of His Limitless Reality. May peace and blessing be upon the Prophet (ﷺ) - do remember my family in your prayers, especially the parents. And Allāh alone knows best. Maya Angelou "God Loves Me"
Find out what prayer means to her, where she feels most at peace and what she knows for sure. Bruce Lipton, PhD from an interview at the Freedom for Family Wellness Summit in Washington, DC, in October 2010. The transformation of human consciousness we are experiencing brings multisensory perception to how we understand and heal ourselves. Buddhist teacher Pema Chodron describes her 'made-up' morning ritual, and discover seven things that she says soothe her soul (one of which causes her and Oprah to share a big laugh). Plus, Pema reveals the advice she would give to her younger self, a very confused person for whom she says she now has much sympathy. Oprah shares one of her favorite passages from The Book of Awakening by Mark Nepo. Plus, Mark gives an example of how he used the wisdom of the passage in his own life. Poet and best-selling author says there are many ways to grow as human beings, but there are only two universal experiences: Either we are broken open or we willfully shed what isn't working in our lives. What if there was a simple key to discovering your life purpose? In this video, Neale Donald Walsch, best-selling author of Conversations With God, gives you that key. Making Your Heart a "Zone of Peace"